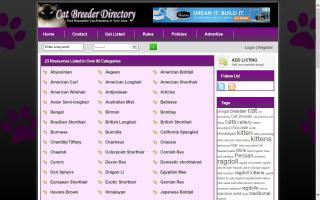 Reference and Cat Information Directory - O Kitty! Find out a wide variety of information about Siamese cats, including history, fun facts, training, behavioral traits, and more. A complete information guide on many aspects of your cat's health. 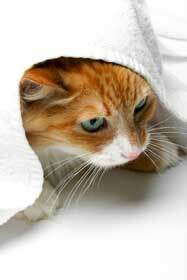 The site has tips and information that will help cat owners keep their cats healthy and happy. 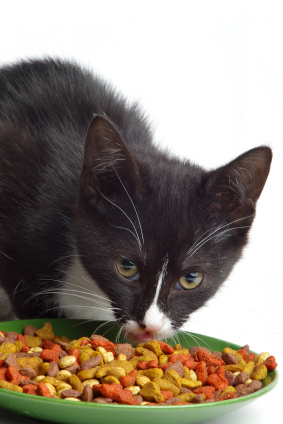 General information about cats - food, feeding & care, cat diseases & breeds, and cat health. 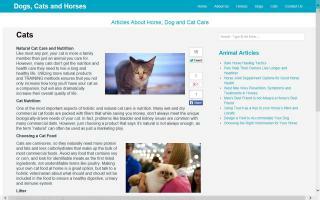 Horse, dog, and cat nutrition and training resource. Jennifer Meyer of Dogs, Cats and Horses believes in an all-natural approach to animal diets, supplements, and medications. It is her belief that a natural diet with a careful look at nutritional foods can result in happier animals and significantly reduce sickness and common pet ailments. Diet is the key to creating balanced animals. Knowledge of cat care becomes vital if you posses a cat as a pet. Here, we provide a complete guide of many issues which are related to cat care and cat health. My site is primarily about nutrition for cats and kittens. I have information about nutritional requirements, pet food labeling, and illnesses related to nutrition. I have extensive links to internet databases and links to nutritional articles. There are also aclot of cute cat videos as well as some moving videos about big cat rescue. I've included a lot of photos of my cats. There is also a free vet and pet shelter locator. There are many links to products for the newborn kitten and adult cat. I have numerous RSS feeds concerning cats. Tips and recommendations on essential cat supplies needed to provide optimal care for a cat or kitten. Includes information on a variety of cat foods, toys, accessories, furniture, grooming supplies, and health products, as well as advice on how to prepare your home for a new kitten, how to keep cats off furniture, and what to do about a bored cat.